I’m back! After a summer full of adventures (a honeymoon overseas, a new furry friend and lots of camping trips), I’m here to give you a new post! If you follow me on Instagram, you’ll know that my husband and I went to Hong Kong, Korea and Japan for our honeymoon. So today, I’m going to share with you a list of stores to visit if you’re a stationery addict like me! A bit of a disclaimer: I don’t take a lot of pictures when I travel so this post is somewhat lacking in that department. Guess you’ll have to visit the stores yourselves! Before leaving on my trip, friend Linda told me to buy notebooks in Korea and pens in Japan. She wasn’t wrong! 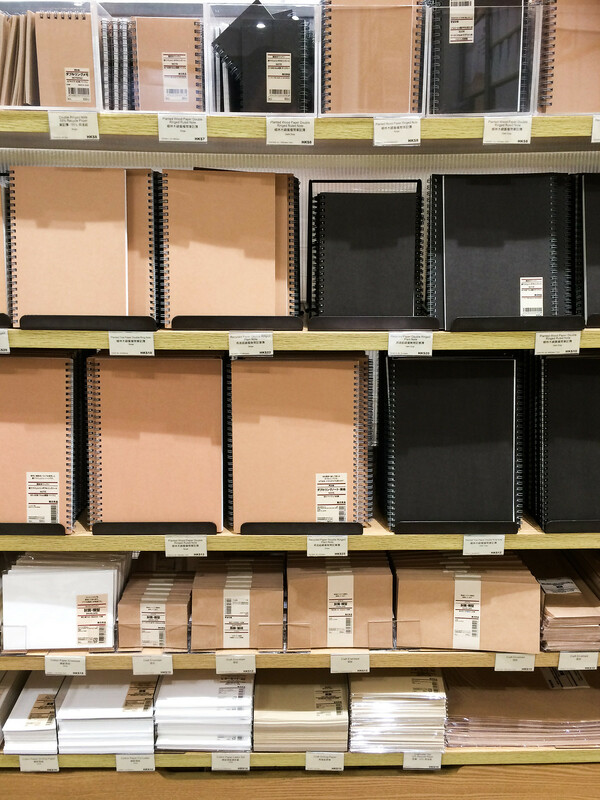 Notebooks in Korea tend to be a little bit cheaper than in Japan; however, they are generally lower in quality, meaning the paper is thinner and a bit rougher. If those aren’t deal breakers for you, I definitely recommend purchasing your notebooks in Korea. 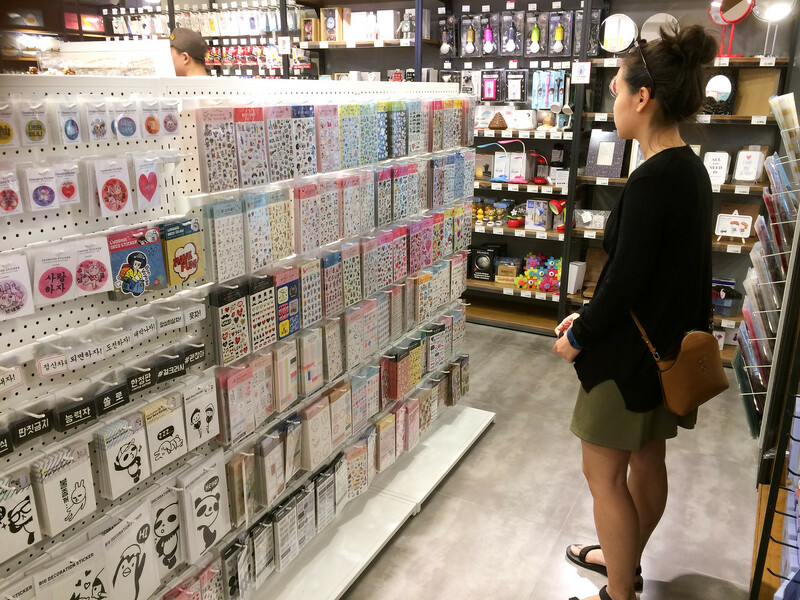 This store doesn’t only carry stationery, they also have a lot of fun gadgets and gifts – it’s great if you are travelling with people who are tired of walking into another stationery shop with you. My husband had a great time here and even bought a few items for himself. The notebooks are really cute and affordable and they had a great selection of pens! They also had a ton of stickers and a good choice of agendas and planners. For those who don’t know, Daiso is a Japanese 100 yen store, their equivalent of a dollar store. I visited the chain in both Japan and Korea but found that they actually sold different items in each country. I though that a lot of the products were of a better quality in Korea (though, to be fair, a lot of the items more than 1,000 won or 100 yen.) So if you’re visiting Korea and Japan, I recommend checking out the Daiso in both places – you may be surprised by what you find! Stationery heaven! They have everything you’re looking for and also everything you never thought you needed. Very extensive selection and great designs. 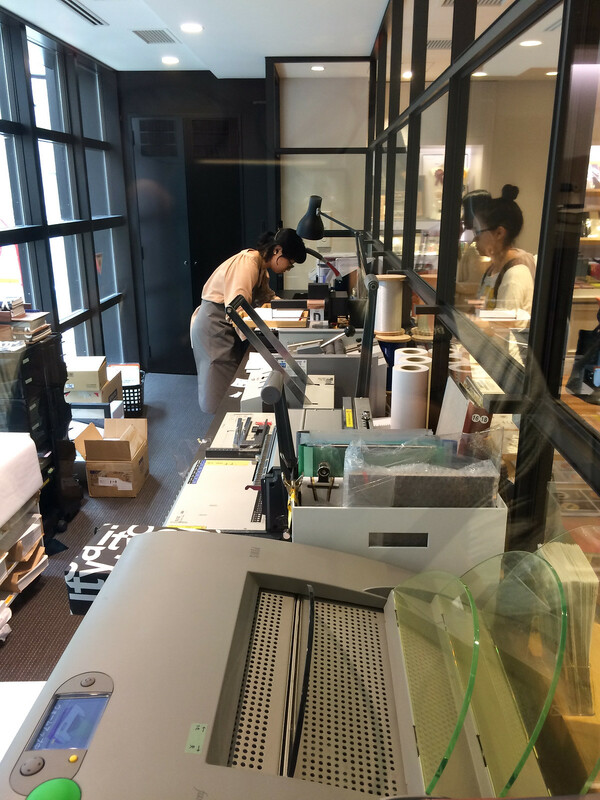 The store in Shibuya is connected to Muji (see below), if you want to kill two birds with one stone. Muji is quite well known even outside of Japan but I had to include it on my list. You’ll love the brand if you enjoy minimalist style at very affordable prices. If you’re in Canada, there are a couple of stores scattered across the country so if you don’t have a chance to go, don’t sweat it. On a totally unrelated note – if you find a store selling food, pick up a pack of their “Pasta Sauce Urchin Cream”. You won’t regret it! 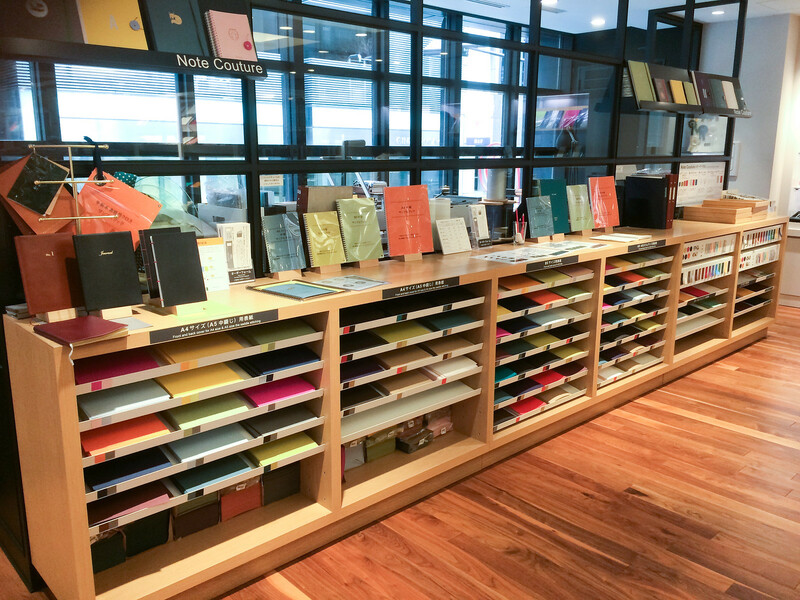 I went to the Itoya flagship store because my friend told me about the custom notebooks. The store is stunning and they have an enormous selection of goods. I spent a long time staring at beautiful agendas but managed to walk away with nothing but my custom notebook. And some pens, obviously. An important thing to remember is that the custom notebook shop, Note Couture is actually located at K. Itoya. You can reach it by walking through the flagship store and taking the rear exit. I spoke about Daiso in the Korea section but the chain in Japan definitely worth a visit! You can find a lot of little stationery items that you can’t find in North America for only 100 yen! They also sell cute Japanese themed items like washi tape, notepads and stickers. I walked into Yodobashi thinking I would be staring at electronics for hours but they actually have a huge stationery section on the second floor! Most of my purchases were made here. I think most of their products are standard Japanese office supplies but I love office supplies so it worked out for me! Seriously! We stayed near a 24 hour grocery store in Osaka. We stopped by to buy some bandaids and I found a 3 pack of mini kraft notebooks for 100 yen! Family Mart, Circle K and Sunkus carry Muji products! The selection will obviously be limited but you can still find some fun products. Give them a shot. The 100 yen stores in Japan are a lot better quality than dollar stores in North America. I found brush pens at 100 yen a pop! And if you don’t find anything at least you can pick up some snacks. Next post, I’ll go over all the goodies I got. Stay tuned! 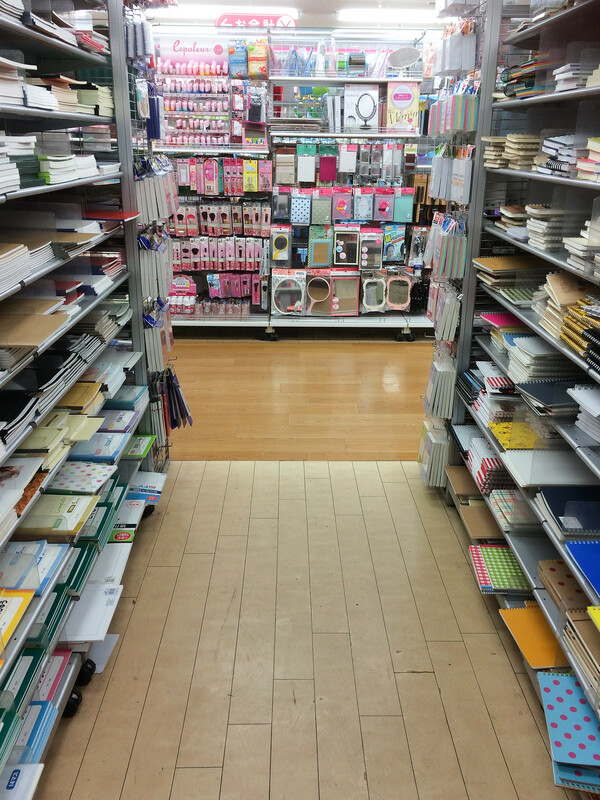 This entry was posted in Stationery and tagged asia, daiso, haul, japan, japanese stationery, korea, korean stationery, muji, shopping, stationery, stationery shopping. Bookmark the permalink.